FREE Grove Collaborative Cleaning Concentrates Set! 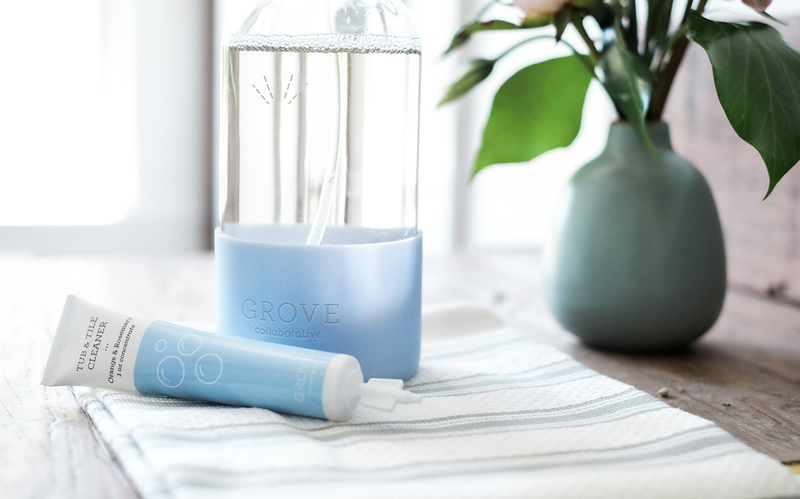 Simplify your cleaning and leave plastic bottles behind with Grove Collaborative! 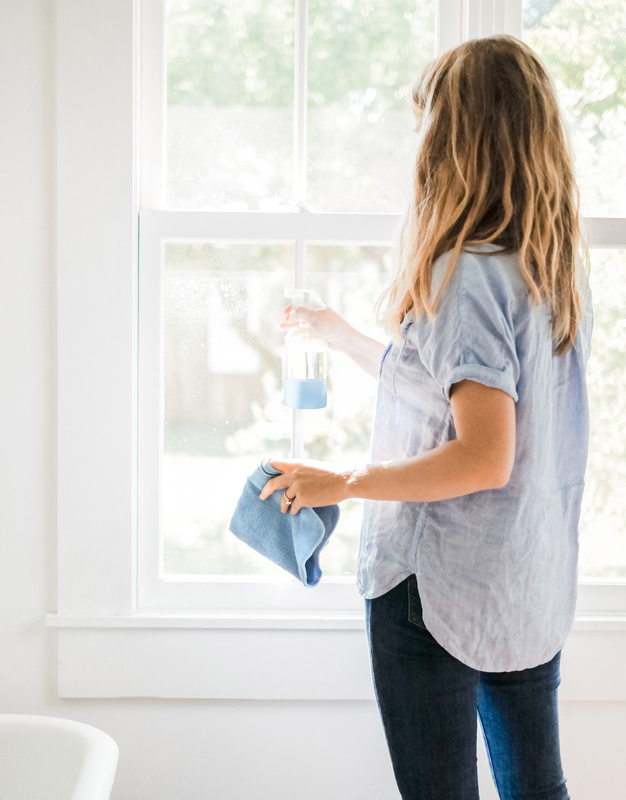 Having a clean house is important to me, and I’ve shared many of my cleaning lists and tips over the years. 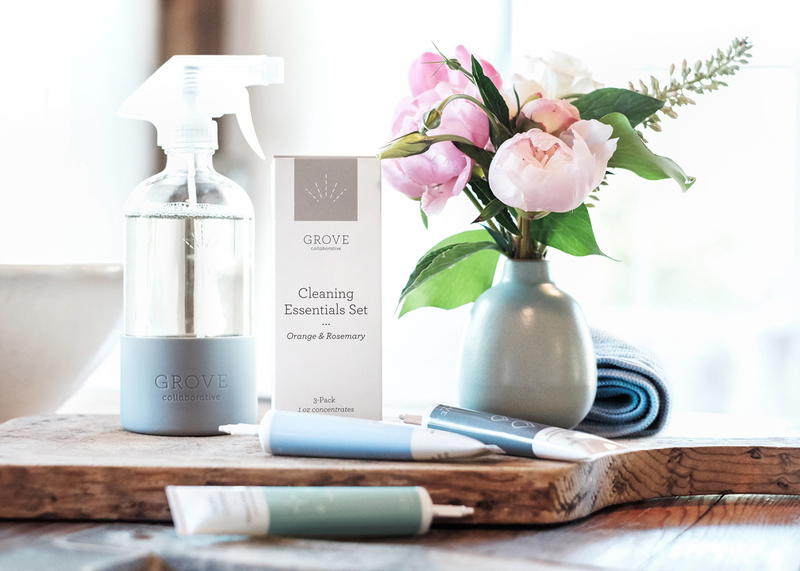 I haven’t really every talked about the specific cleaners that I use, but today I’m sharing my current favorite… the new cleaning concentrates set from Grove Collaborative. 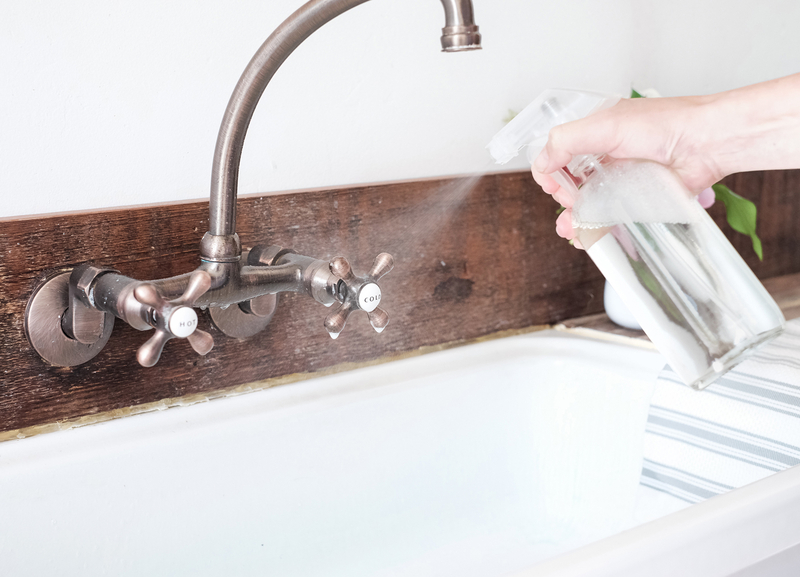 One of the many reasons I love it is that instead of buying a big plastic bottle of cleaning solution, you just dispense the concentrate into your spray bottle, add water and voilà! I love being able to reuse the spray bottle, and it’s so easy to just pour in the concentrate, add water, and shake! 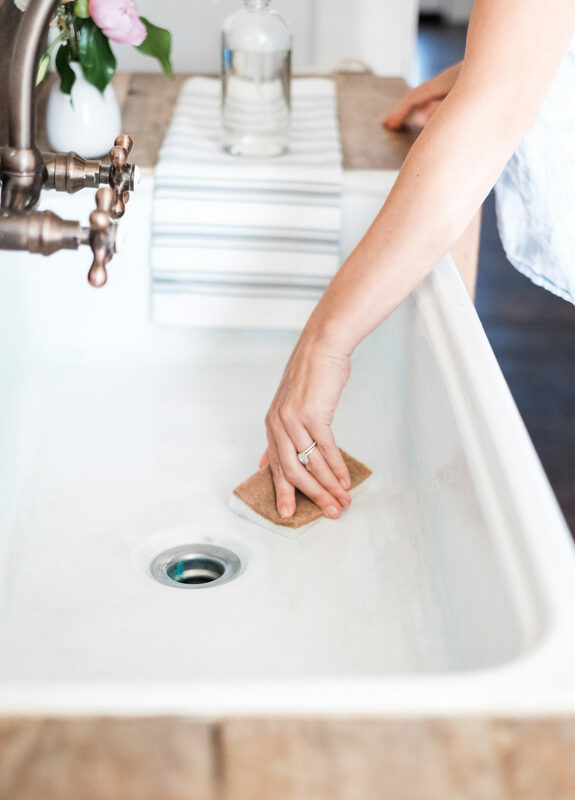 If you’re already a customer, you’ll receive a free set of Grove walnut scrubbers — they’re sustainably made and get dishes super clean! Each concentrate is made with plant-derived ingredients and essential oils, so you can feel good about using them in your home. I was especially thrilled to see that these cleaners combine my two favorite scents: orange and rosemary. It’s truly the perfect all-season fragrance. The set also comes with a gorgeous glass spray bottle to mix up your cleaning concentrates. The bottle is very sturdy and the silicone sleeve keeps it from slipping out of your hand. I’ve purchased a few so that I can keep one in the kitchen, one under the bathroom sink, and I even leave one out for misting my plants. Along with the spray bottle and cleaning concentrates, these Grove microfibers are great for wiping down counters, cleaning windows and mirrors, and scrubbing the shower door. I just pop them in the wash when I’m done — if you take care of them, they’ll last for years. That’s one of the (many) reasons I love Grove Collaborative: their products work AND they’re good for the planet. Once you sign up, Grove will deliver your favorite natural products (carbon offset) right to your doorstep, on your schedule. They’ll even save 25 square feet of rainforest for every order! If, like me, you’re trying to reduce your impact and create a healthy home, I can’t recommend Grove enough. If you’re already a customer, you’ll receive a free set of Grove walnut scrubbers . You will receive the Grove Cleaning Concentrates Set for free when you sign up! Pssst… made it this far? Here’s a bonus tip to help you save even more: Once you have submitted your Grove order, you will be signed up for the free 60 day VIP trial. For 60 days, save even more with free shipping, free gifts, price matching, exclusive sales and personal service.